');}//]]> Uppsala University Scholarships For International Master Students 2019 - Examexpo.com.ng – 2019 Waec Expo, Neco 2019 Expo, Jamb 2019 Expo. 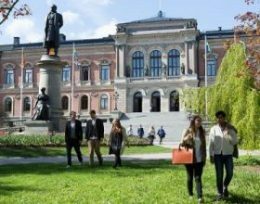 There are a number of Uppsala University Scholarships available each year for fee-paying international students who are applying to an international Bachelor’s or Master’s programme. Uppsala University Scholarships will cover the cost of tuition, but not living expenses, for studies at Uppsala University Master’s programmes offered during the current admission round and commencing 2 September 2019. Uppsala University Scholarships are awarded each year to international students. You are strongly advised to visit this website regularly to see more scholarship opportunities. Important Information: Applicants should note that some universities funding scholarship require that they must apply for admission to the University or be existing students of the university before they can be considered for a Scholarship. Most Universities funding scholarships are unable to consider any scholarship applications from students who have not been offered a place at the university while some other universities automatically award scholarships to international students whom have an admission offer of a place in the university. However, international organizations funding scholarships don’t require applicants to hold an offer of admission. WHERE CAN SCHOLARSHIPS BE TAKEN? 0 Response to "Uppsala University Scholarships For International Master Students 2019"